Two necklaces in one…never again stress over which pieces to layer. 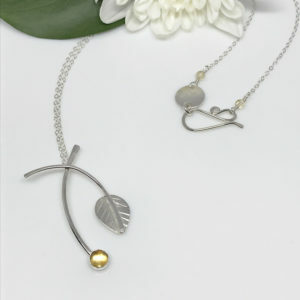 Always be "on point" with this lovely layered necklace set. 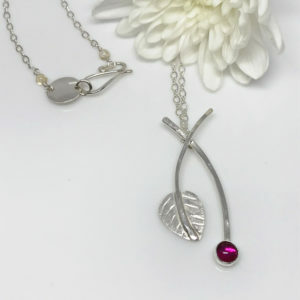 When it comes to simple elegance, this silver and gemstone layered necklace definitely delivers. Double layered Labradorite necklace set. 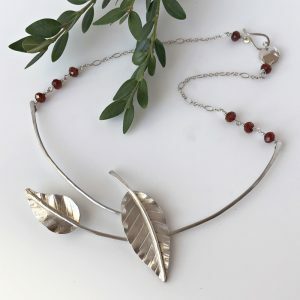 Delicate Argentium silver chain hold gemstones on one necklace and a single horizontal silver bar on the other. The shorter of the two necklaces consists of three exquisite labradorite gemstones. Coupled with these stones are petite amethyst accent stones. Not only are the labradorite and amethyst stones cut with facets, they’re also somewhat translucent. While the amethyst stones remain a consistent shade of lavender, the labradorite stones can show a multitude of colors…teal, lavender, yellow and frosty gray. Both stone are quite pretty. 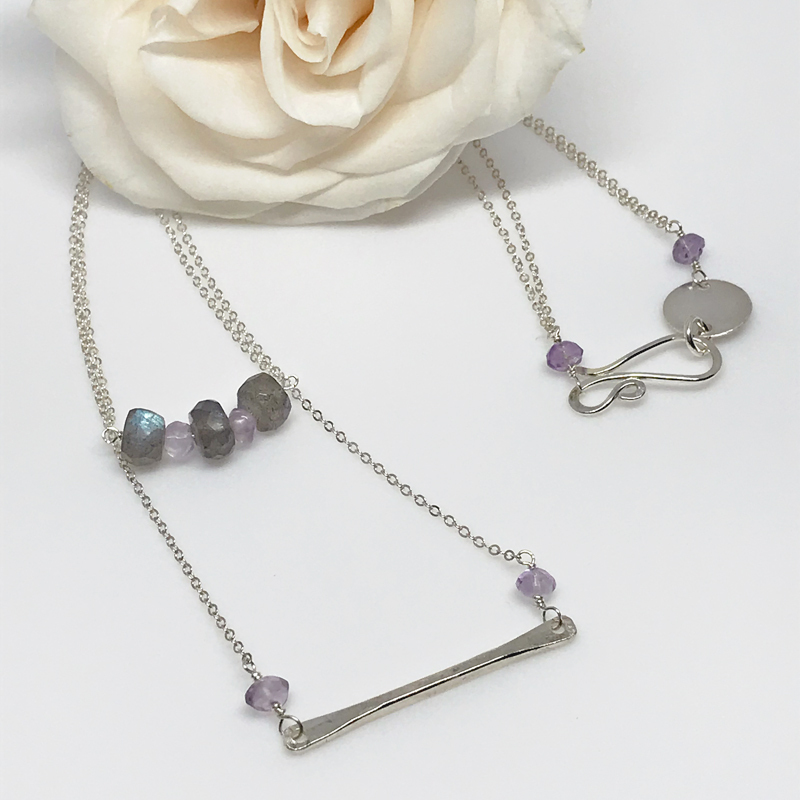 A horizontal Argentium silver bar makes up the longer of the two necklaces. Because the bar is hammered it adds both texture and dimension. Additionally, the clasp is hand cut and formed. Also from Argentium silver. Both the clasp and bar are polished to a very high sheen. 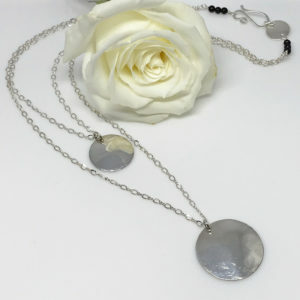 In addition to this necklace, it also comes with softly hued aquamarine and citrine gemstones or gorgeous rose quartz and citrine stones. All necklaces have a length of 20 inches. The shorter one measures about 16 inches.